Throughout the holiday season, people everywhere go out of their ways to make their loved ones feel special. The act of gift-giving is one of the most popular holiday activities. One way of looking at it is that it’s a sign that we care about those who are closest to us and that we want to celebrate those relationships. As a jewelry store owner, this sentiment should never be lost on you. Making people who are important to you feel special is a year-round job. Which people are most important to your business? It would be hard to argue that they aren’t your customers. After all, if you had no one to sell your items to, you wouldn’t have a business to run. In 2018, consumers look for a lot more than a place to buy items. And, as such, they’re looking for a lot more from your jewelry store. To your customers, being able to find beautiful pieces is one thing. Enjoying their experiences while visiting your store is another. What are you doing to ensure customers enjoy their experiences with your store? “People like doing business with companies they connect with personally, with companies they trust,” she continues, “Sure, price is a factor, and your company must demonstrate its value and be competitive, but, believe me, that is the easy part.” To connect with your customers on personal levels, it’s important to take steps to develop genuine relationships with them. This involves active listening to find out what they truly want. Customers like to feel appreciated. Listening is just the first step to showing your customers that you value them. However, it also takes some gratitude. It’s important to let your customers know that their business matters to you. Offering a show of thanks can go a long way in securing long-term loyalty. On MyCustomer.com, Margarita Hakobyan lists the simple act of saying “thank you” as a top strategy for making your customers feel valued. At TK Enterprises Inc., we confidently feel that we have cornered the market in the “making customers feel special” business! 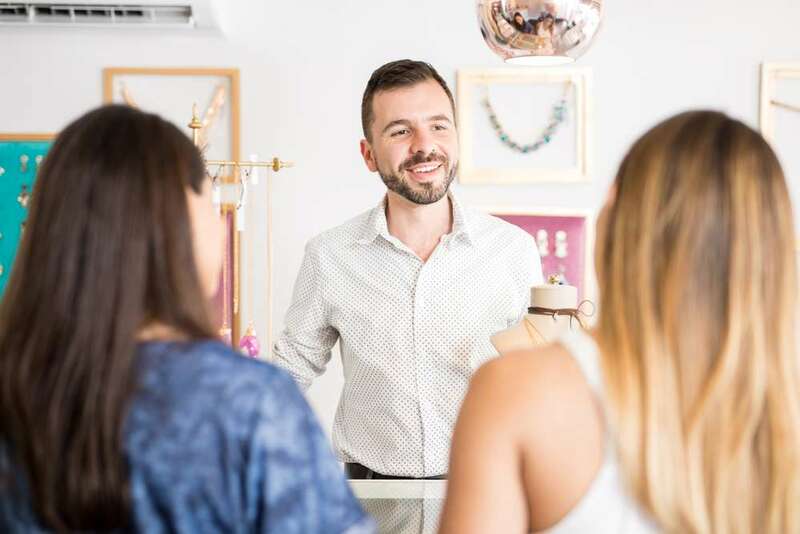 Our one-of-a-kind Retail Event Marketing services go to work for your business by calling its customers and offering them exclusive invites to your upcoming in-store events. This unique marketing strategy has proven to make customers feel valued, helping to secure their loyalty for the long haul.